The Bundeswehr administrator in Reston, Virginia, is responsible for the administrative and economic support of all troops, departments or other bodies of the German Bundeswehr in the US and Canada. For the opening of the new building in 1991 a Wall segment was erected in front of the building as a lasting reminder and memorial. It is available to the public. 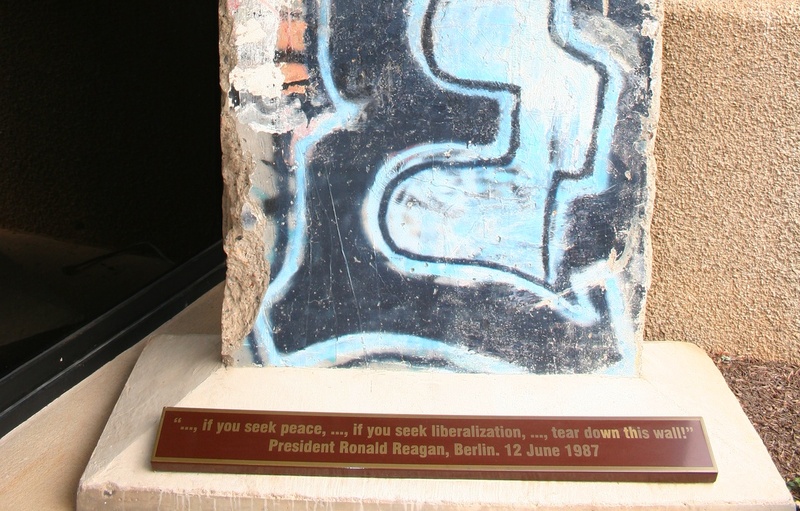 This segment of the Berlin Wall – here also shown from the West Berlin side in its design as of 1987 – was situated at Waldemar Street in Berlin-Kreuzberg. 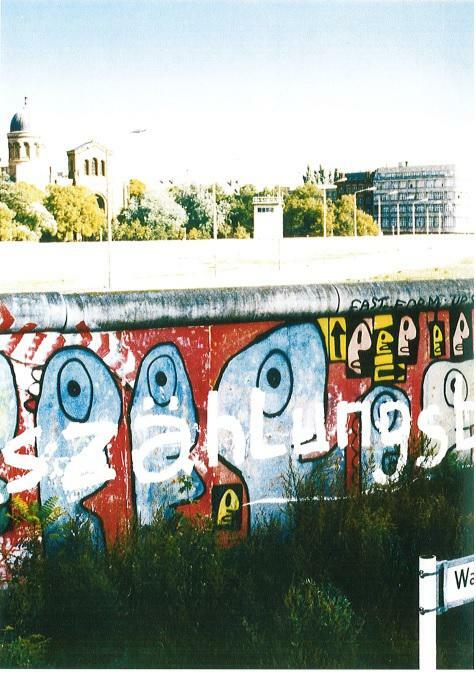 After the fall of the Wall, this portion of the Berlin Wall was disassembled by the still existing government of the German Democratic Republic (GDR) with the aim to sell the single segments on the international art market due to the value of the graffiti paintings. This section of the Berlin wall was decorated by the famous French Wall Artist Thierry Noir. 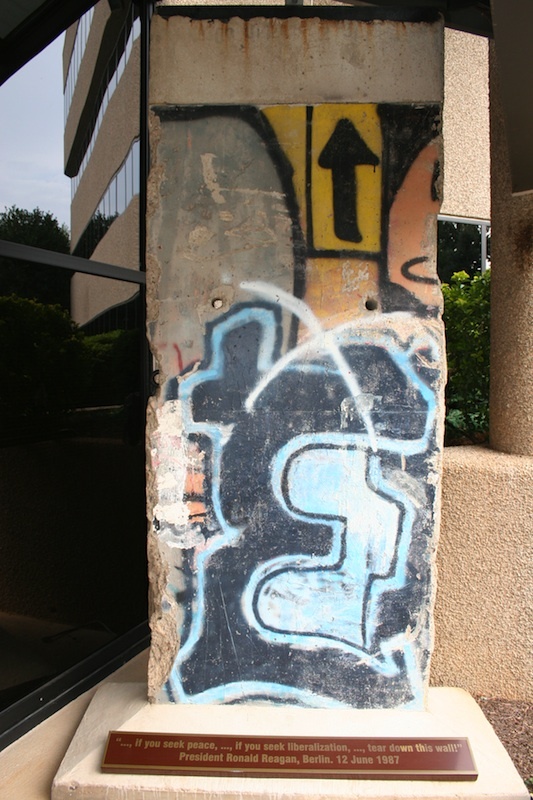 After the former GDR government did not succeed in selling, this segment of the Berlin Wall was flown over the Atlantic in a German Air Force Transport Aircraft in 1991 and was installed here at the German Armed Forces building in Reston, Virginia.